When The DAO launched in May 2016, the crypto-community believed it had the potential to bring a revolutionary new business model to commercial and non-profit enterprises. Just over a month later, a critical vulnerability in the code of The DAO was exploited by hackers who subsequently stole $50 million dollars in Ether. The code of The DAO was open-source, meaning that anyone could view it using the public Github Repository. As it happens, the vulnerabilities in the code had been identified prior to the hack. A developer known by his Github handle “chriseth” had figured out that The DAO code contained a “recursive call vulnerability” as is described here. However, Christoph Jentzsch and the other authors of the code did not release a fix in time and the hackers exploited the vulnerability. The price of Ether subsequently tumbled from $20 to just under $13, and a hard fork was initiated to recoup the lost funds. For many, The DAO hack was an awakening to the importance of peer-reviewed code. Ideally, all code should be reviewed by industry experts before going live. Charles Hoskinson, former co-founder of Ethereum, took this lesson to heart and launched Cardano. 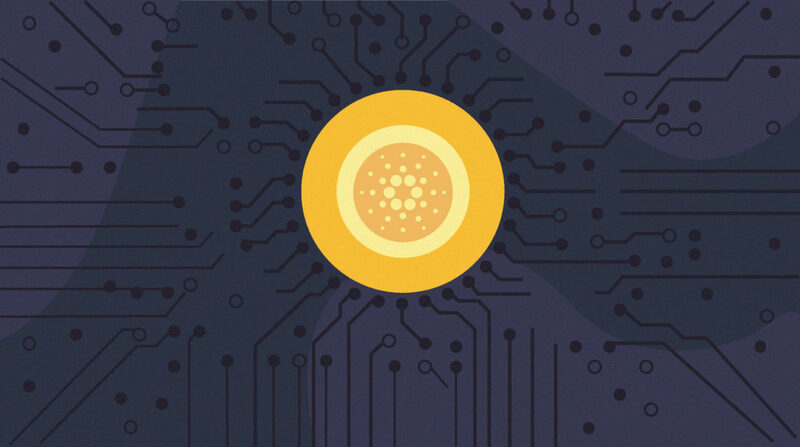 Cardano is a security-focused, decentralized blockchain and cryptocurrency (ADA) project which is peer reviewed by experts through partnerships with the world’s leading universities. That might not sound very exciting at first, but Cardano represents the third generation of cryptocurrency, a culmination of work dating back to the launch of Bitcoin in January 2009. Let’s look at this claim more closely. Bitcoin launched with the clear aim of creating decentralized digital cash, which could be used without the need for trusted third parties. In this excellent video, Hoskinson says that this makes Bitcoin the “first generation of cryptocurrency”. As is customary with first-generation products, Bitcoin is far from perfect. Transactions on the Bitcoin blockchain, for example, have to be kept simple. There is no room to add conditions or customizations, and as such the functionality is limited. Ethereum aimed to solve this problem by introducing Smart Contracts. These allow participants of a transaction to enforce the negotiation and performance of a contract. By bringing a programming language named Solidity to the blockchain, Ethereum became the second generation of cryptocurrency. But again problems quickly surfaced. The most pressing of which is Ethereum’s scalability problem, which is caused by a hard-coded limit on computational power per block of transactions. This limits the Ethereum blockchain to 15 transactions per second, compared to the 45,000 processed by Visa, and throws a huge spanner in the works regarding Ethereum’s mainstream capabilities. Let’s now look at these in more detail and see how Cardano aims to overcome each of them. Hoskinson and his team have identified three problems baked into the way cryptocurrencies usually scale. The first one has been mentioned previously and regards the number of transactions. Bitcoin can process roughly 7 transactions per second, while Ethereum can do 13. For a cryptocurrency to be widely used, not only as a store of value but in everyday payments, the number of transactions needs to be closer to ~50,000 per second. The second issue arises out of the data which is part of every transaction. As the number of transactions increases, the amount of data that needs to be processed and provided by the network also increases. So in order to scale to millions of users, the network needs to be able to provide hundreds to thousands of Gigabytes of bandwidth per second to allow so much data to flow through it. Finally there is the problem of data scale. This refers to the ballooning size of the blockchain resulting from a vast increase in transactions. The Bitcoin blockchain, for example, is already over 168 GB in size, which means it’s already impractical to store for many potential members of the peer-to-peer network. If Bitcoin manages to scale its’ number of transactions, then it will not take long for the blockchain to reach terabytes in size. For a cryptocurrency which relies on each node having a full copy of the blockchain to provide security in the network, this presents a huge challenge to the security of Bitcoin in the long term. Now that we have a thorough understanding of the scalability problem, it’s time to turn our attention to Cardano’s solutions. The first of which is Cardano’s new, provably secure Proof-Of-Stake (POS) mining algorithm called Ouroboros. Ouroboros is remarkable for being one of the most efficient consensus mechanisms in the cryptocurrency space, while also being the first to be proven secure. More specifically, Ouroboros departs from the more common Proof-Of-Work (POW) algorithm, and replaces it with a unique approach to POS. One innovative concept it introduces is that of a Slot Leader. A Slot Leader is a node with a positive stake which has been picked to generate a new block. The likelihood of being picked is determined in a “fair lottery”, where the amount of coins a node holds corresponds with the likelihood of being picked to generate a new block. This represents a huge improvement in terms of sustainability compared to the energy-intensive POW, where GPU power is expended to solve cryptographic puzzles. To put the cost into perspective, running the Bitcoin network is estimated to cost around $600,000 an hour. Additionally, Slot Leaders are not restricted to generating and maintaining blocks on one chain. They can actually maintain other blocks on other chains, as the cost of creating blocks is so low with this new approach. What this means is that blocks holding transactions can be processed in parallel by nodes which have been picked as Slot Leaders. This means that transactions on Cardano are much easier to scale than on most other blockchains. Another piece in Cardano’s scalability puzzle is RINA (Recursive InterNetwork Architecture). RINA is a new type of technology which aims to reconfigure the structure of the internet. In doing so, RINA is able to operate as a scalable network which does not require every node to process every transaction. Keeping in mind that most nodes have different capabilities, RINA helps to vastly increase outputs by creating a more predictable node topography. This brings us to Cardano’s final solution to the scalability problem, namely data scaling. Hoskinson and his team believe that only a few nodes need to keep a full record of every transaction on the Cardano blockchain. By implementing techniques like Pruning, Subscription, and compression, the size of the blockchain contained on every node can be radically reduced. Just like OmiseGO and Ripple, Cardano has made interoperability one of its key endeavors. Interoperability in this context refers to the notion that there will not be one token to rule them all. Instead, there will be a myriad of different tokens that all need to be able to interact in some way. In the world we live in today, cryptocurrencies like Bitcoin, Ethereum and Ripple exist separately from each other and the legacy financial system. The SWIFT network, for example, obides by different rules and business logic than the Ethereum blockchain. Similarly, the Bitcoin and Ethereum blockchains follow different rules, making interoperability impossible for the layperson, ie. value cannot flow freely. This results in closed systems which rely on centralized bodies, like exchanges, to interact with each other. This is a huge problem because exchanges are very fragile. Bitfinex, Bitstamp and MT Gox are just some exchanges which have been hacked and relieved of huge sums of money in recent times. Given our past experience, and the fact that decentralization is a key part of the cryptocurrency ethos, centralization of power should be avoided at all costs. 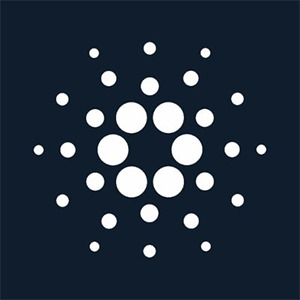 Cardano’s proposed solution is to watch and understand the transactions which are happening across multiple systems and blockchains using the Cardano blockchain and its native token ADA. For a third generation cryptocurrency, this is a must-have feature as it forms the basis of a truly interoperable financial system. More specifically, Cardano needs to be able to facilitate cross-chain transactions without the need for third parties. According to Hoskinson, Cardano will achieve this through the use of sidechains, which compress and restructure data in order to be verifiable by other blockchains. It is vital that the transaction data is communicated in a compressed way. There are thousands of cryptocurrencies in use and the volume of transactions is steadily increasing. This makes it infeasible to require a full copy of every blockchain in order to verify each transaction. Cardano’s solution to this problem is called Non-Interactive-Proofs-of-Proof-of-Work (NIPoPoWs). In short, NIPoPoWs can verify transactions using only a small portion of the required blockchains. While clearly an innovative approach with many exciting implications, NIPoPoWs are currently a solely theoretical construct and some of the mechanics of real-world applications still need to be figured out. But NIPoPoWs are only one half of the solution because even if it is implemented successfully, the legacy banking infrastructure remains a closed system. This is principally due to two factors. The first is called metadata, which tells the story of a transaction. Whenever a transaction is made using the legacy financial system, a large amount of information is exchanged. Questions like: who is involved in the transaction, and what is the transaction for, have to be answered. This is the bread and butter of the banking world, but it is not well provisioned in the cryptocurrency space. In fact, most blockchains were designed to prevent this information from becoming public knowledge. Cardano’s solution is to figure out where, when and how metadata can be placed on a blockchain in a cryptographically secure way. If Cardano is successful, it will be a huge step towards interoperability between banks and blockchains. The second problem regards compliance, which primarily consists of KYC, AML, and CTF. As regulated financial institutions, banks are beholden to know who their customers are. Additionally, a series of checks are implemented to ensure that customers are not laundering money or financing terrorists. Cryptocurrencies, on the other hand, are often pseudonymous and sometimes completely anonymous, making KYC, AML and CTF close to impossible. This results in banks being extremely reluctant to do business with cryptocurrency companies. In order to solve this problem, Cardano plans to use metadata to allow users to add compliance data to their transactions. The belief is that once this data is available, the legacy financial system will be far less reluctant to work with customers using cryptocurrencies. This brings us to the final characteristic of Cardano. Hoskinson and his team identify a key question at the heart of sustainability: How do we pay for things? This is a crucial consideration because it acknowledges that cryptocurrencies are not companies. There is often no clear way to cover operational costs without imposing tolls or other measures which would inhibit the competitiveness of the blockchain. A temporary solution may rely on a patronage model, where a company, like Ripple for example, allocates it’s own resources for the good of the blockchain. This has the negative consequence of centralizing power however, and makes it harder to fight the agenda of a powerful few. In some cases, an ICO may prove to be a great solution. By selling off tokens and receiving millions of dollars in return, companies can use these funds to build and maintain exceptional protocols and blockchains. The problem here is that an ICO is a singular event, meaning there is an initial flood of money. However, blockchains are designed for longevity and the ICO money soon runs out. With this problem in mind, it’s clear that a third generation cryptocurrency needs to be able to generate and store funds. Cardano’s solution is to build a Treasury similar to the one used by Dash. In simple terms, a Treasury allows a blockchain to print money and store it in a decentralized bank account. This is a radical departure from Bitcoin’s approach which awards BTC to miners for running the blockchain. Cardano plans to endow the Treasury with some freshly minted ADA, as well as a percentage of every transaction fee. What’s exciting about this feature is that stakeholders can make proposals on how to spend the money in the Treasury. Using a democratic voting system, users can vote on each proposal, giving all stakeholders the possibility of participating in the governance and growth of the blockchain. This approach has the added benefit of creating a positive feedback loop. When Cardano begins to grow, and the number of transactions increases, the amount of funds available in the Treasury will increase. Subsequently, the funding for proposals will increase and the likelihood of further growth increases as well. As described in this article so far, Cardano is a ground-breaking technology platform that strives to become the third generation of cryptocurrency. The problems identified by Charles Hoskinson and his team are met with innovative solutions which are peer-reviewed by experts. This allows Cardano to provide “high assurance” code, a term which testifies to the academic rigor and technological expertise which went into it. This helps protect Cardano from hackers exploiting vulnerabilities, like in The DAO hack, and engenders trust among its users. On the other hand, the scientific rigor afforded to each new Cardano project means that most of them are not yet tested in real-world applications. For example, the Cardano blockchain was only launched in September 2017, and RINA and the Treasury will most likely not be implemented until late 2018. Overall, however, it is clear that Cardano offers an exciting new vision not only for cryptocurrencies but for the internet of value – in which value can flow freely between networks in a scalable and sustainable way.